In 2015, the KVFD launched its HomeSafe Program, which consists of voluntary home safety inspections and door to door smoke alarm checks. Part of our mission is to protect people and property by delivering efficient fire prevention programs. An effective home inspection program is a proven method of fire prevention that has had success with reducing loss of life, injury, and damage from fire. 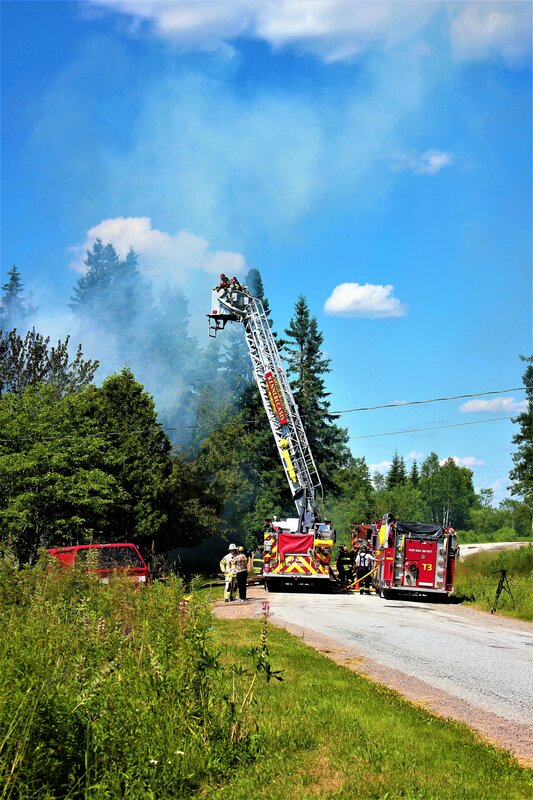 A similar program in British Columbia reduced fires in high-risk areas by two-thirds and home safety visits are being completed with success in the United Kingdom. After a resident contacts us about a home inspection, an on duty crew of firefighters will visit their home and will follow a check list as they discuss fire hazards in and around the home and what changes can be made to minimize the risk. Each year firefighters also go door to door to homes in areas of the Kennebecasis Valley and ask to inspect smoke alarms for such things as location in the home and age of the alarm. This is a free program and residents of the Kennebecasis Valley are encouraged to contact us about the program by calling 848-6601 or clicking the button below to email us. The KVFD has several car seat technicians trained and certified by the Child Passenger Safety Association of Canada (CPSAC). Whether it is a new child's car seat you want installed or an existing seat you want checked, call and make an appointment with one of our technicians today. The KVFD has six fire prevention officers trained to the National Fire Protection Association (NFPA) 1031 Standard for Professional Qualifications for Fire Inspector and appointed by the Office of the Fire Marshal. These inspectors conduct inspections on local businesses but also coordinate with the Office of the Fire Marshal in investigating complaints and approving venues for events and liquor licensing. For more information or to schedule an inspection, email us by clicking the button below.